This November Election, Californians will have the opportunity to vote on statewide initiatives that will impact our civil rights and civil liberties. At ACLU SoCal, we believe that our society should be a place where all people can participate and prosper, but across California families are struggling to stay in their homes. The cost of housing is skyrocketing, and those rising costs disproportionately fall on immigrants, people of color, elderly people, and those living with disabilities in our communities. More and more families are spending over 50% of their income on housing, and the search for affordable homes is further segregating our communities. In order to make change, local governments need every possible tool available to address the need for more affordable housing. But in California our choices are limited because of a 1995 law, Costa Hawkins, which limits what local communities can do to address housing costs. That’s why we are joining with organizations across California to repeal this law and give the power back to local communities to protect their residents. 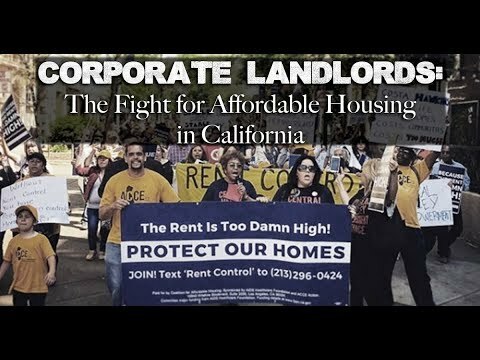 This November 6, Californians have the opportunity to change how we address housing by passing Prop 10 and repealing Costa Hawkins. From now until November 6, 2018, we will be calling, texting, and knocking on our neighbors' doors to make sure they vote Yes on Prop 10. Join us! You can learn more about the Affordable Housing Act at Vote Yes On Prop 10's website. Join us at our upcoming phone banks and door-to-door canvasses to make sure that Prop 10 wins in November.